Argh me hearties, get your best treasure hunting shoes on and join in the fun these school holidays. Just print out and complete this entry form and drop it into Ocean Grove Supertoys for your chance to win. 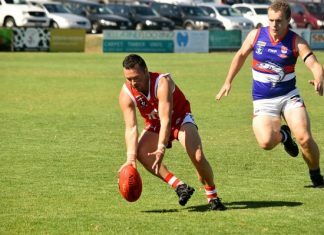 Entries close noon 13 July. Good luck and happy treasure hunting. Argh me hearties, get your best treasure hunting shoes on and join in the fun these school holidays. 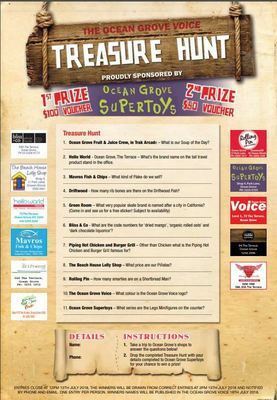 Just print out and complete this entry form and drop it into Ocean Grove Supertoys for your chance to win. Entries close noon 13 July. Good luck and happy treasure hunting. Previous articleWho is your club legend?